Anything Larus: Back to Sheboygan: Gullextravaganza! *Now a record high for me on Lake Michigan, the 12 Lesser Black-backeds seen together at Deland Park is unprecedented. 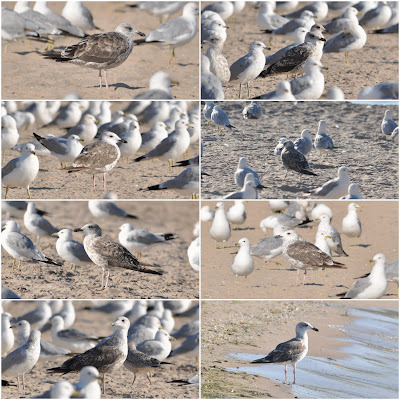 The increase in summering LBBG on Lake Michigan is becoming a reality much faster than I imagined it would be when putting together my review of this species' status in "Rethinking the Lesser Black-backed Gull in North America" (Birding; V45 N1, pp.34-41). 8 of 12 LBBGs at Deland Park. Most are 1st summer birds in their 2nd molt cycle. First summer Little Gull (2nd cycle) with similar aged Bonaparte's Gull. North Point Park. Sheboygan, WI. 14 July 2013. 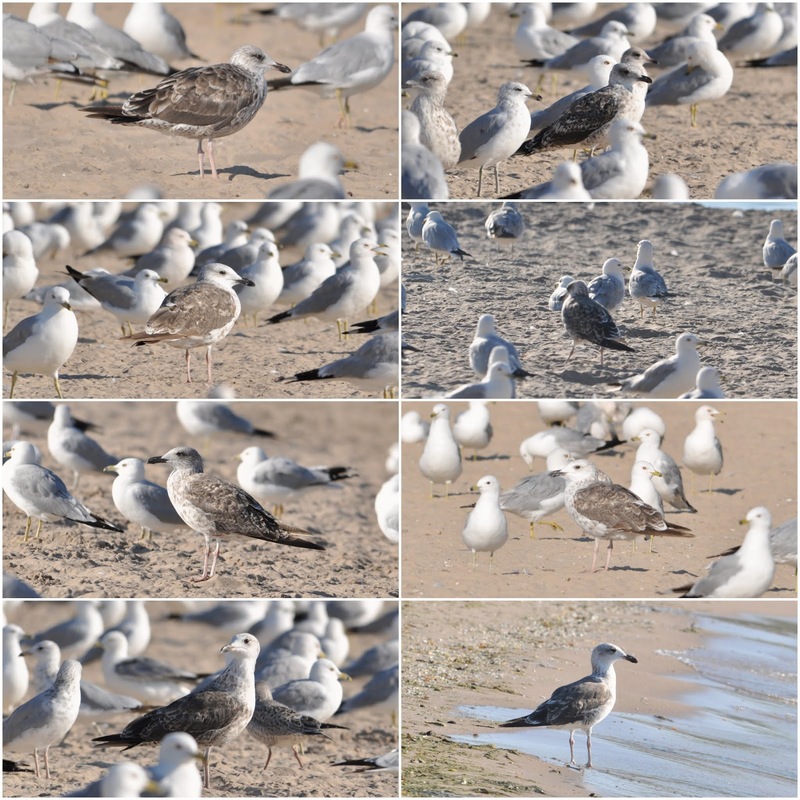 First summer (2nd cycle) Laughing Gull with Ring-billed Gulls. North Point Park. Sheboygan, WI. 14 July 2013. The gulls here are all mostly feeding on the dying shad that lazily swim near shore. In fact, hundreds were seen dead along the shore, especially on the north beach between the water filtration plant and the "gazebo". The smell was classic "Salton Sea" and I had no objections to this, at all! First summer (2nd cycle) Bonaparte's Gull. First summer (2nd cycle) Bonaparte's Gulls. Juvenile Ring-billed Gull (so-called "cinnamon" type).